It's me Dayna your favorite traveling gypsy. On my journeys in South east Asia I've come across a beautiful permaculture project -The Panya Project just outside Chiang Mai in Thailand and they are offering a two week Permaculture design course resulting in a Permaculture Design certificate (PDC). Receiving this certificate has been a long time dream of mine. Currently I do not have the financial resources to make this course a reality, so I'm asking for your help. The course starts Oct 9th and I need to raise a minimum of $1200.00 as I plan to stay and volunteer, working on the project one week before and two weeks after the course as well. I have one month to raise the needed funds. Please help me reach my goal so I can begin this journey in permaculture design and education, allowing me to engage in and bring back knowledge to help grow my community and communities around the world towards a more sustainable future! The Panya Project is a fully integrated Permaculture site with many exciting examples of Permaculture design. I would be partaking in a two week long immersion, as part of the Panya community, learning how to live and thrive in a sustainable community. Their aim is to create a supportive learning environment for the duration of the course where trust, compassion, support and connection is built among the participants. 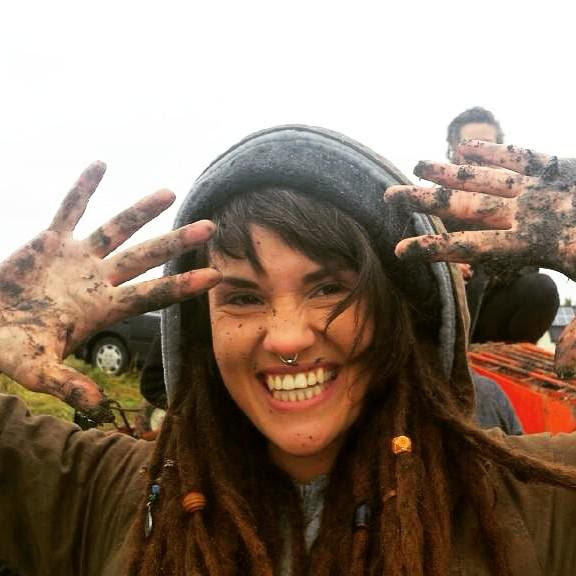 As part of the course, I will help to co-create designs for real world projects that could help change communities and may include elements such as food forests, permaculture-style gardens, natural building, or water catchment and irrigation systems. I will also have the opportunity to design my own land project or develop any projects I am currently involved in during this course. So what is Permaculture Design you ask? Permaculture is a system of agricultural and social design principles centered on simulating or directly utilizing the patterns and features observed in natural ecosystems. The term permaculture is a contraction of the words "permanent," "agriculture,” and “culture.” Although the original focus of permaculture was sustainable food production, the philosophy of permaculture has expanded over time to encompass economic and social systems. It is a dynamic movement that is still evolving. I am committed to aid in the protection of this earth, to empower communities to live in harmony, to educate future generations on sustainable living and to be a part of the movement our planet so desperately needs. I am looking to further my knowledge to achieve these things, and attending this course would be life changing for me. Immense gratitude for any and all contributions, and thank you from the bottom of my heart!